Note: For this demo I’m using a lab environment network that is not routed to the internet. I will be using the Ettercap open source network security tool included in the Back|Track 5 R3 Linux security distro. Before attempting to use Ettercap please make sure to read the help and MAN pages (Terminal commands shown next) for a complete description of the program options and switches. To save the man page to a text file use the following command. For this demo I will use Ettercap to search for network interface cards (NICs) that are in promiscuous mode. Having the NIC in promiscuous mode does allow Wireshark to capture all the traffic it sees on the network. First, with the Terminal open lets run a quick command to view the available plugins for Ettercap. 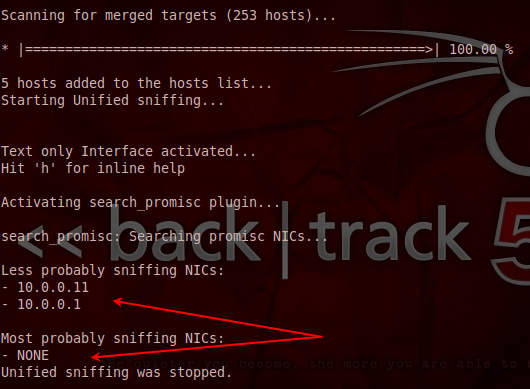 Near the bottom of the list will be the search_promisc plugin. We will use this plugin in the Ettercap command to search for the computers whose NIC are in promiscuous mode. I will use the next command to search for the network interfaces that are in promiscuous mode. Here is a quick description of the different switches used in the command. T is for text mode only. -i etho selects the network interface to use. -P search _promisc uses the search promiscuous mode plugin. // targets all machines on the subnet. Instead of using the // switch to scan the current subnet a range of IP addresses can be specified. After connecting a third computer to the network and starting Wireshark which will put the NIC in promiscuous mode I will rerun the previous Ettercap scan. 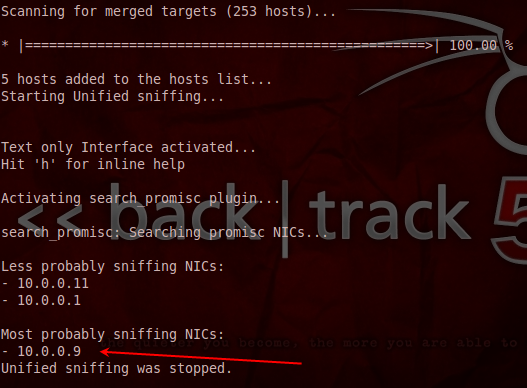 This time the results will show the IP address of the computer that is running Wireshark in the probably sniffing NICs list. If you’re not a command line person and would rather use a graphical interface Ettercap does have GUI option (see screen shot below). In my next blog post I will describe how to run this same search using the Ettercap GUI program. Thanks for reading! If you have any comments or questions please post those below. Hi Dale, To start I like your site, nice use of pics, and your style of writing is enjoyable to read. I think Ettercap is a great tool. Good seeing you preference the command line. 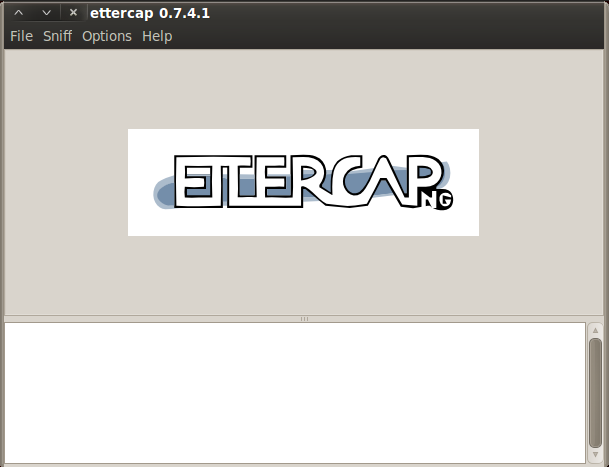 Personally I find Ettercap gui unstable the command line rocks on this tool. Keep up the great work. MyExploit are loyally supporting! The email address sorry to say is not real, (guerrillamail) i’m paranoid never given out my real identity, never really sent a message to any one before.